It’s 10th May, and Mi Max has finally launched in an event held in Beijing with live streaming available in their official website. Over 40 lakh people watched the live streaming of MIUI 8 and Mi Max launch. The event started with MIUI 8 launch, later proceeding to Mi Max. Mi Max will come pre-loaded with MIUI 8 OS that is one of the major upgrade in MIUI history. Mi Max (128GB variant with 4GB RAM and Snapdragon 652) is priced at 1999 RMB. 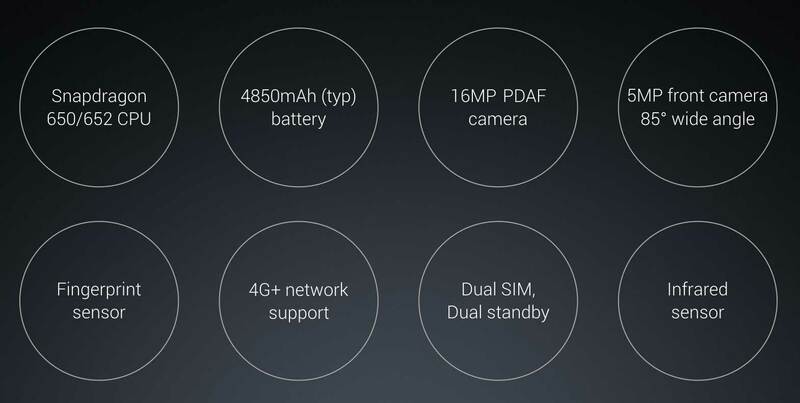 Mi Max, as the name suggest, has a huge display size, to be precise Mi Max is a phablet instead of smartphone. It features a 6.44 inch 2.5D display with metal body. The phone will be available in three colors, i.e. Silver, Light Grey and Gold. As the display is quite big and small handed may find it very difficult to operate the phone, Mi has introduced “one-handed mode” that allows easy handling of phone with one hand. As expected Mi Max is equipped with fingerprint sensors that integrate with MIUI 8 quite well, even providing the security for inbuilt applications like Notes. It is a dual SIM device with 3G and 4G support. Mi Max is powered with Snapdragon 650/652 chipset accompanied with 3GB/4GB and Adreno 510 GPU. It comes with 32GB, 64GB and 128GB internal storage. There are total 3 variants of Mi Max that are listed below with price. Mi Max holds a 4850mAh battery that claims to power up the device for complete one day instead of having such a huge display. According to the company, Mi Max can last up to 4 hours 40 minutes while recording videos and can continuously navigate for 8 hours 26 minutes which is much better than iPhone 6 Plus. It has support for USB 3.0. The device is very thin and measures only 7.5mm and weighs around 203 gram. Coming down to the camera, it has a powerful 16MP primary camera along with a 5MP front facing camera. The other features include infrared sensors, fingerprint sensors, Wi-Fi, USB Type-C, Bluetooth and 3.5mm audio jack. The device is available from 17th May. To get more updates on Xiaomi devices, stay tuned with us.